Every year on December 15th people gather at Sitting Bull Camp, near Bullhead, South Dakota, to ride horseback nearly three hundred miles to the site of the Wounded Knee. 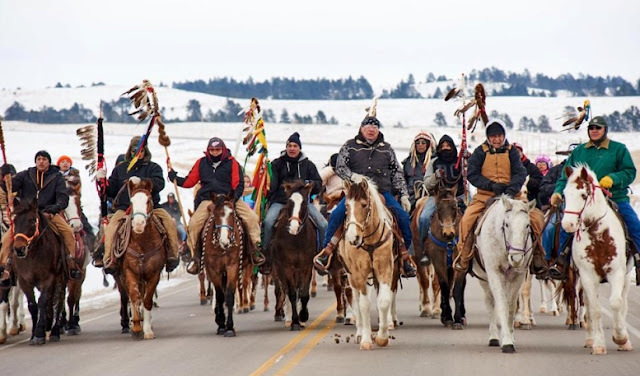 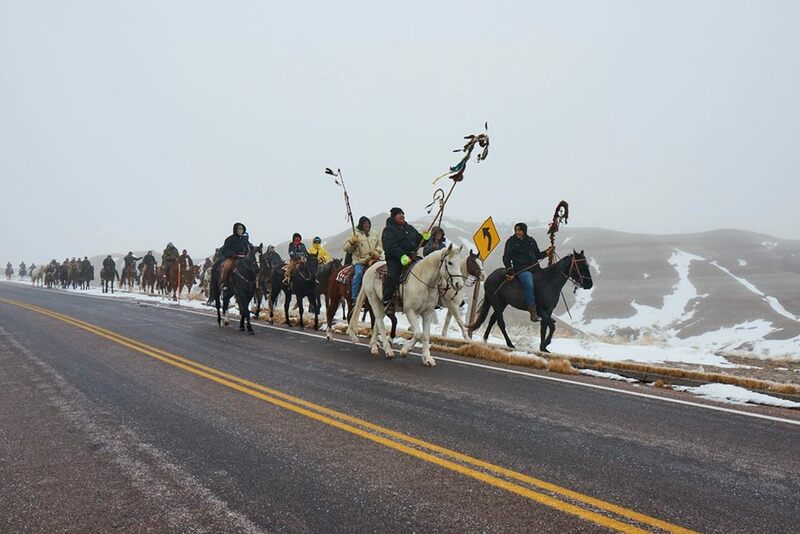 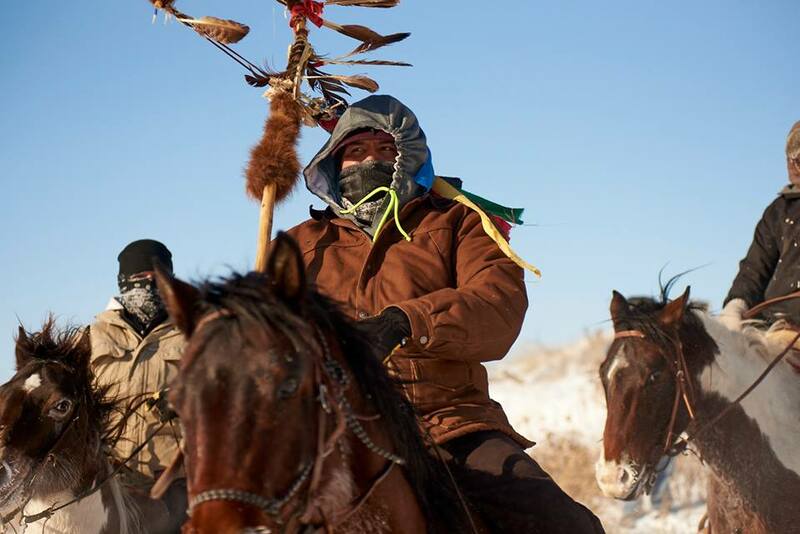 The ride is called the Oomaka Tokatakiya (Future Generations) Ride and the majority of the riders come from three Lakota (Sioux) reservations: Standing Rock, Cheyenne River, and Pine Ridge. In two weeks they travel across rivers and farms, cross a major interstate, and arrive at Wounded Knee on the anniversary of the massacre that took more than 300 lives in 1890. The Future Generations Ride is an offshoot of the Big Foot Memorial Ride that ran from 1986 to 1990. 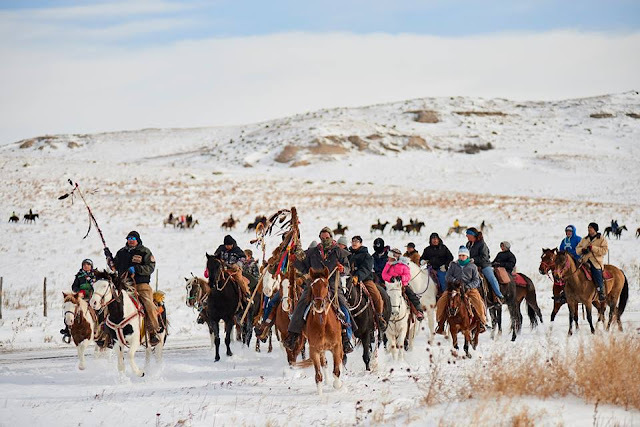 The original ride started on the 22nd of December and traced the route taken by Big Foot (leader of the Miniconjou Lakota from the Cheyenne River reservation) and his people, as they were chased by the 7th Calvary, from their camp near Bridger to where they were surrounded and killed near Wounded Knee Creek. 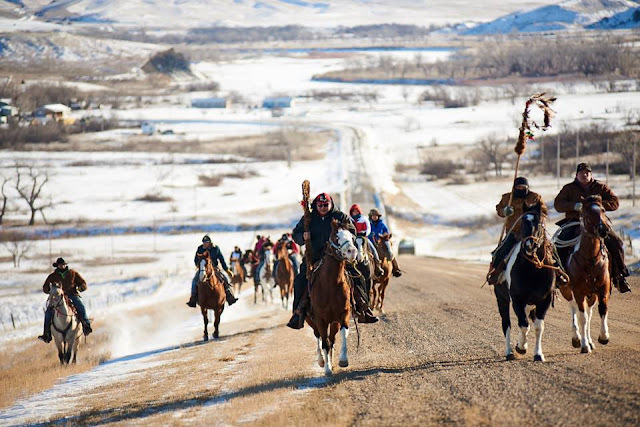 Today the ride starts at Sitting Bull Camp, near Bull Head, to mark the anniversary of Sitting Bull’s death, and follows the route taken by some of his followers to join Big Foot. 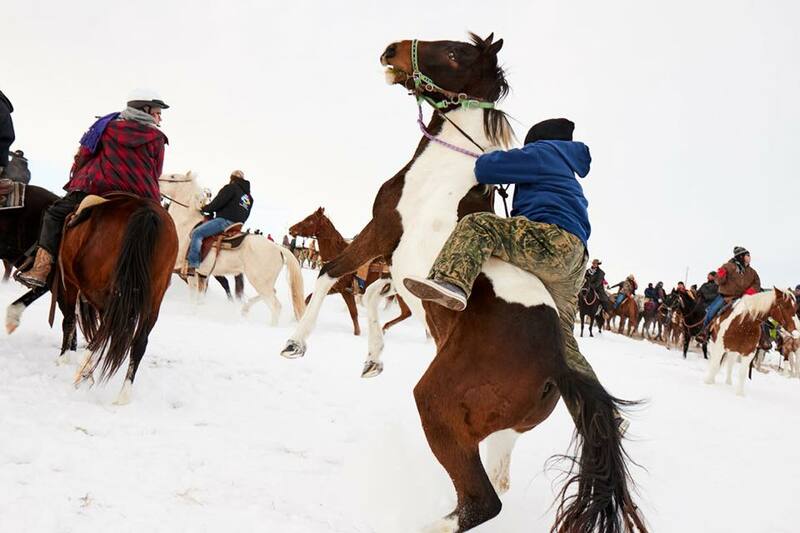 The ride then continues the rest of the way along Big Foot’s trail. 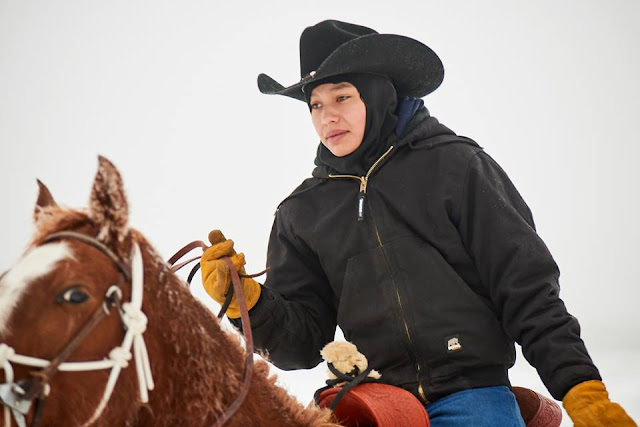 While the ride is in many ways in homage to Sitting Bull, Big Foot, and those who lost their lives at Wounded Knee, this ride is also meant to foster leadership qualities in the youth. 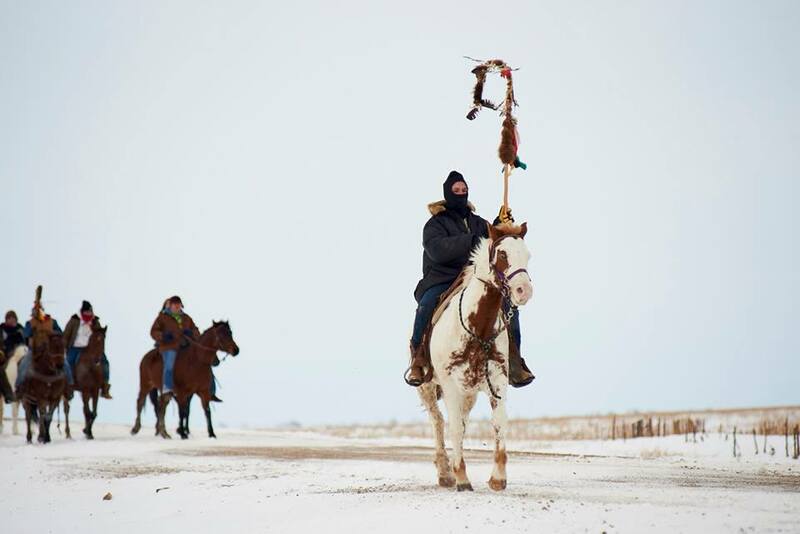 Along the way, the riders experience some of what their ancestors endured by embodying an intellectual, spiritual, and physical remembrance. Braving the cold—down to –20°F—these kids, some of them barely into puberty, ride as many as 35 miles in a day. 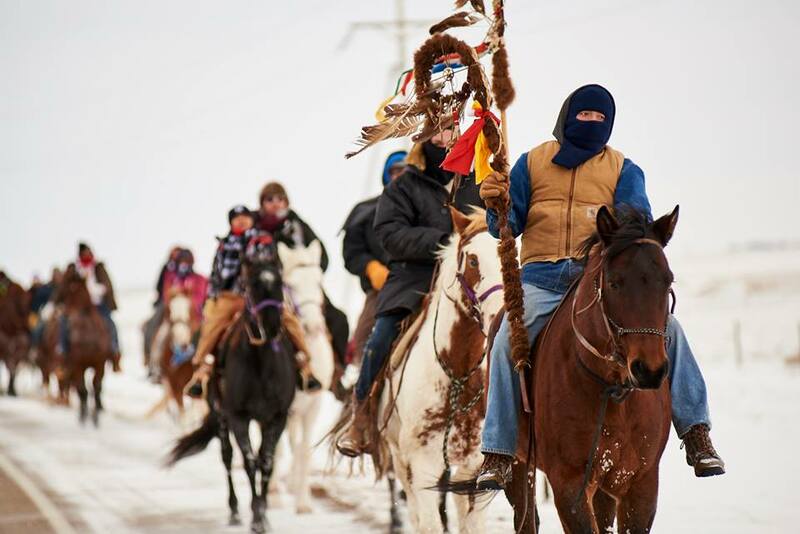 The ride starts on December 15th and ends on the December 29th. 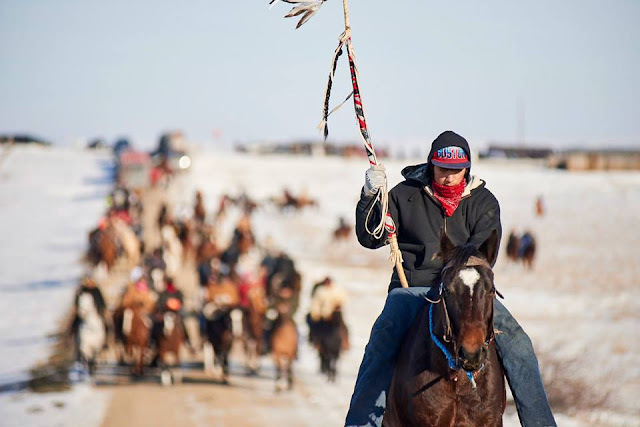 Responses to "Future Generation Ride: Young Lakota riders brave cold for another year of prayer"
May the Great Spirit and the ancestors be with you on this journey.